I'm on a juice kick. 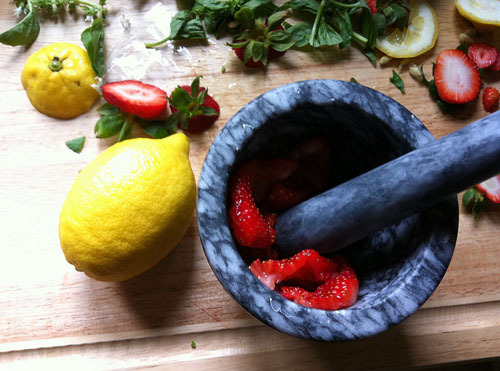 I got out my mortar and pestle and made strawberry basil lemonade. 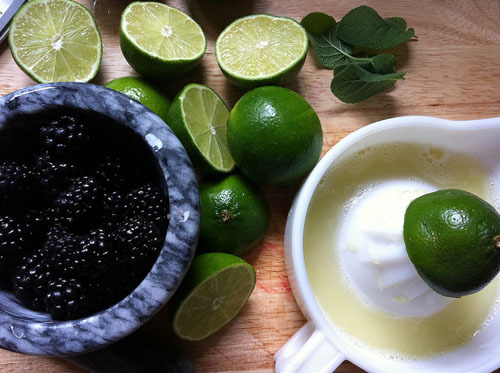 For Memorial Day I made blackberry sage limeade. 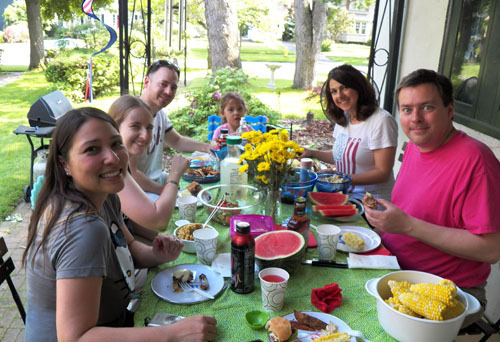 The limeade went well with our Memorial Day cookout! I definitely want to make strawberry basil lemonade now! The colors in your photos are really incredible! Love the vibrant blues, greens, reds and yellows. Happy summer! IS THAT VENOM ENERGY DRINK?!! !